Skip bins are very useful to remove household waste, garden, and green waste for many other purposes. It is not practically possible to own a skip bin because it would be a tough job to find a place to keep the bin without annoying neighbours and also to transport it to a nearby dump station safely. You would also require a vehicle that was able to move the trailer with the skip bin loaded and you would also need to be an experienced driver to tow the trailer with the skip bin loaded. 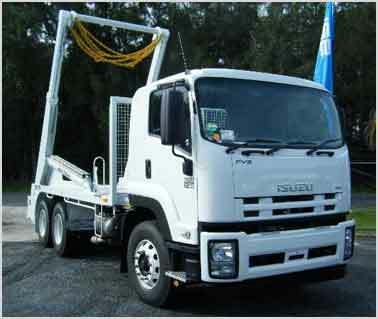 These aspects highlight the need to seek the services of a skip bin rental service. I need a Skip Bin Sydney provides the best cost effective solution for your needs with very little hassle. I need a Skip Bin is the right choice of the service provider that meets your budget. Many people worry about the cost to hire skip bins, but fortunately, I need a Skip Bin provides the best service and a selection of skip bin sizes at low and competitive prices. They are very quick to deliver and transfer the waste at the allotted time; we respect your time. You can hire skip bins of all sizes. Therefore, whatever the purpose, like household or commercial, they can provide you with the right skip bins that can effectively remove the waste all in one trip. It is essential to be selective in choosing the skip bins. The reason is that household waste removal may require an average sized bin whereas commercial and larger waste removal jobs may require a considerably larger skip bin. Skip bins are very useful for construction site cleanups, renovation and to remove building waste. I need a Skip Bin are ready to serve you seven days a week and are flexible to deliver at a time you require. They cover all areas in and around Sydney and can provide a quotation to deliver outside Sydney. We endeavour to be on time; subsequently, you can totally unwind to finish the work quickly on time as arranged. They comprehend that your time is important. At the time of gathering of the skip container, they will likewise clean the territory where the receptacle was being continued abandoning it flawless and clean. You can hire skip bins for one or more days to suite your requirements. I need a Skip Bin Sydney provides you with a free quote on request which is very helpful to know the cost of hiring skip bins and to keep to your budget. Moreover, they also suggest what size of bin would best suite you based on the type of disposal clean up job, be it commercial or residential. I need a Skip Bins Sydney has a large selection of different sized skip bins appropriate for both home and business. Large sized bins are a good choice for moving home, so you can clean out all the content you no longer need before you move to your new home. You can hire these large bins so you can concentrate on cleaning and not spend the time doing trips to the dump. Skip bins save you time and money and wear and tear on your vehicle.